Whether it is a local or international shipping services – OSI can help you with your import and export needs. OSI is known for its world class services and the 30 years experience in the field. This means a lot for every single person who needs air shipping services. We will work for businesses of all sizes, for household needs as well. Air shipping may be a bit expensive but it definitely has a faster transit time. This is due to the availability of the airport terminals all over the world right now. It will be easier for you to monitor the flight schedules, therefore easier to know when your stuff will arrive. Air shipping with OSI will definitely be something you’ll look forward too since we will be updating you with everything you want to know about. OSI will provide you with an extensive option for both personal and business customers. If you need auto shipping, box shipping, container shipping, package shipping, air cargo shipping, freight shipping, and express shipping – we can do it for you; wherever, whenever! Here’ OSI’ approach – we will ship your materials safely to any terminal domestically or in the world. Household moving or commercial goods will be safely placed in dry containers with full or less than full containers for their safety. We will either try live load or drop off method and bring the container to your home, warehouse, or location of choice safely. 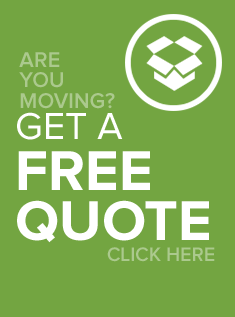 We will provide you with all the necessary shipping forms and documentation for you to fill up faster. Also, we are the one who will file the SEDs (Shipper’s Export Document) for those shipments that are higher than $2,500 in value. We will also guide you through all of the paperwork if you feel uncomfortable with it. So choose us and choose the more convenient way. Our management team, with over 30 years of experience, helps ensure a safe and reliable air freight shipping experience. Our expertise in the freight forwarding and logistics industry guarantees our reputation as a trusted provider for household goods shipping and commercial shipping of FAK (freight of all kinds) including both non-hazardous and hazardous materials. We use the latest technology-based software that allows you to track your shipments in real time.